Electroceuticals are a new category of therapeutic agents which act by targeting the neural circuits of organs. The therapy involves mapping the neural circuitry and delivering neural impulses to these specific targets. Currently drugs rule the roost. Whatever cannot be treated by drugs is treated by interventions or surgery. Technically, all organs and functions are regulated through brain and nervous system; a circuits of neurons communicating through neural impulses. Even endocrine system is under control of central nervous system by a complex array of feed-back mechanisms. Furthermore, most drugs effect by either acting on final-receptors (neural) or endocrine mechanisms. But all known drugs and of-course surgeries or non-surgical interventions have definite side-effects, because their action cannot be exactly localized to the defective part or organ. In this context, imagine a day when instead of drugs, electrical impulses become the mainstay of medical therapy. Instead of administering drugs, or doing complex procedures, the physicians may just administer electroceuticals which will target individual nerve fibres or specific brain circuits and be able to treat any condition. In other words, the neural impulses that control the body will be entrained to regain the lost function and reestablish a healthy balance. Thus they could regulate a host of bodily activities; food intake, cardiac activity, pancreatic activity, liver, kidney or spleen functions. They could even control inflammation and set right many pathologies like diabetes mellitus, obesity, hypertension, heart failure, cerebro-vascular and pulmonary diseases. It is estimated that electroceuticals will become a mainstay of medical treatment over the next two decades, benefiting up to 2 billion people – a quarter of the global population – who are suffering from chronic diseases. Electroceuticals is a recently coined term for an old therapeutic modality that broadly encompasses all bioelectronic medicine. It incluses any type of electrical stimulation to affect and modify functions of the body; neural implants such as cochlear implants, retinal implants or spinal cord stimulators for pain relief but also cardiac pacemakers and implantable defibrillators. Recently, the field has expanded to include deep brain stimulation and the electrical stimulation of the vagus nerve including cranial electrotherapy stimulation (CES). CES work because the nervous system and tissues function electrochemically and can be modulated readily by electrical intervention. Low-frequency current effectively targets cell receptors, activating them through frequency matching in a manner similar to that of chemical ligands. The resultant central and peripheral effects of CES include calmness, relaxation, reduced agitation and aggression, stabilized mood, improved sleep, and reduced pain. Results will vary with the exact technology used, the pathology of the disease being treated, the overall health and hydration of the patient. Therapeutically, electroceuticals score over conventional drugs in a number of ways. Number one, they target neural electrical circuits which are composed of discrete elements; a system of – interconnected cells, nerve fibre network and nerve bundles, thus allowing for precise application of therapeutic effort. The final common pathway of this whole circuit is generation of action potential which itself can be modified allowing for additional control. Thus overall, efficacy increases but side effects decrease because of extreme specificity of response. This entry was posted in Inflammation on July 16, 2018 by cesadmin. There are many patterns associated with many different diagnoses which are well beyond the scope of this chapter. 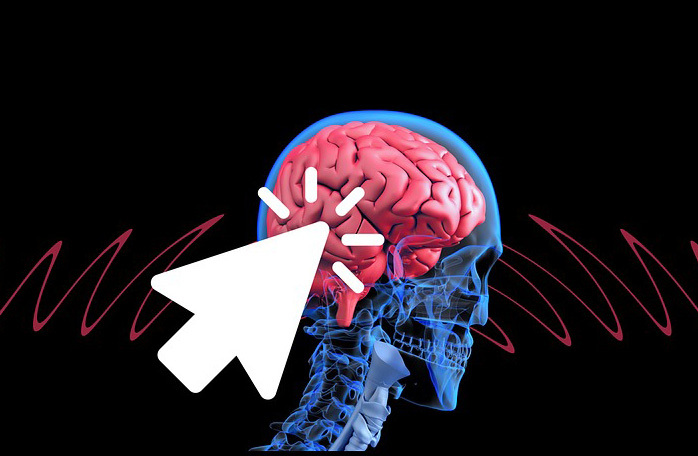 The point is that some problems have specific neurological patterns and the treatment of these problems is to normalize those brainwave patterns. 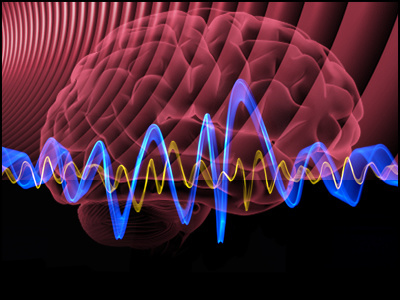 Like many conditions, there are several brainwave patterns associated with various manifestations of PTSD. First, one usually finds a severe deficiency in the ratio of Theta brainwave amplitude to Beta amplitude in the back of the brain. This pattern, also found in genetically predisposed alcoholics, is associated with poor stress tolerance. The Theta/Beta ratio in the occipital region of the brain should be between about 1.80 and 2.20. When that ratio is low, say .70, the person has difficulty finding peace in his head, has poor stress tolerance, predisposed to anxiety and often sleep disturbance. I believe that this deficiency is an enabler for PTSD so that if a number of people all experience the same trauma; only those with this severe deficiency would be prone to develop frank PTSD. The others may have some psychological disturbances, bad dreams, etc but they don’t become incapacitated by PTSD. In addition to this deficiency, the other brainwave pattern that I discovered while treating many of these patients was that they did not show any Alpha response. The Alpha response is a visualization response. At locations over the top of the head and in the back of the brain, when the eyes are closed there should be a large increase in the amplitude of the Alpha brainwave band. Alpha brainwaves are between 8 and 12 Hz and it is a visualization response. The jump in Alpha amplitude should be above about 30% on top of the head and more that 50% at the back of the head. PTSD clients have no Alpha response, in fact, it usually goes negative (i.e., less amplitude with eyes closed relative to eyes open). Now given that Alpha is the visualization brainwave in these locations (e.g., one can increase Alpha amplitude by imagining a sailing ship going over the horizon), lack of such a response makes sense. The major negative effects of PTSD are the visual flashbacks in which the patient relives the trauma. Blocking of the visual response should raise the threshold somewhat for these flashbacks. The problem with such a blocking mechanism is that it also affects other things as well including memory, cognitive functioning and sleep. There may be some other brainwave anomalies as well but I have found the above two in every case of frank PTSD. The neurotherapeutic treatment of PTSD, therefore, always includes correcting the deficiency in the Theta/Beta ratio and the blunted Alpha response in the back of the brain. For cases of traumatic stress that may affect anxiety and sleep quality, I have found that the deficiency in the back of the brain is not as marked as in cases of PTSD. There are several psychoneurotherapeutic techniques for increasing the Theta/Beta ratio in the back of the brain. Clients with PTSD are likely to be heavily medicated which severely compromises efforts to normalize the brainwaves in the back of the brain. First therapeutic goal therefore is to make it possible for the client to start the titration process to wean themselves off the medications. CES plays a major role in this phase of treatment. CES increases the amplitude of slow frequency activity in the back of the brain. A client I will call Jim diagnosed with PTSD was in and out of hospital for years when he finally arrived at my office. A former policeman who had been traumatized on the job, he was required to be in treatment by the courts after he had used an unloaded gun to threaten a noisy youth at a rally. A day patient at the hospital, Jim came to his first visit with his wife. The whites of his eyes were blood red, he was sweating profusely and he looked as though he was about to explode. Jim said that he was experiencing multiple flashbacks every day and that he was very worried that he might lose control and become violent or self destructive. Jim was heavily medicated but he claimed that the medications “didn’t do a damn thing” although Vivian said that without the drugs he was worse. She further added that Jim had been through many programs and treatments for the PTSD but none seemed to help and that he was “getting much worse lately”. The initial brainwave assessment indicated a marked deficiency in the back of the brain, the trauma signature and the pattern for emotional volatility. The Theta/Beta ratio at the back of the brain was .57 (normative is 1.80 – 2.20), the Alpha response was negative (Alpha amplitude was 14.4% less under eyes closed condition whereas it should be above 50% in that area of the brain) and the Theta amplitude in the right frontal lobe was 33.5% greater than the amplitude in the left lobe. Jim was under treatment for about a year and received more than fifty sessions. After 22 sessions, Jim was able to tolerate the CES electrodes on his ears at which time the flashback frequency started to decline markedly. The Alpha response likewise started to emerge around this time as well and Jim started to make substantial progress in his psychotherapy sessions with his primary therapist. As the case of Jim illustrates, CES stimulation can be of significant benefit in the treatment of conditions in which there is a deficiency in slow frequency brainwave amplitude in the back of the brain. This increase in slow frequency amplitude can be obtained with the CES electrodes either on the earlobes or on acupuncture point P6. The beneficial effects of CES for sleep disturbances and anxiety is most likely the result of the increased Theta amplitude. In addition there is also a form of depression that is associated with the Theta amplitude deficiency in the occipital brain region that is characterized by more of a burn-out feeling rather than frank sadness. I have found that the CES is particularly effective for this form of depression. This entry was posted in CES Research on July 11, 2018 by cesadmin.